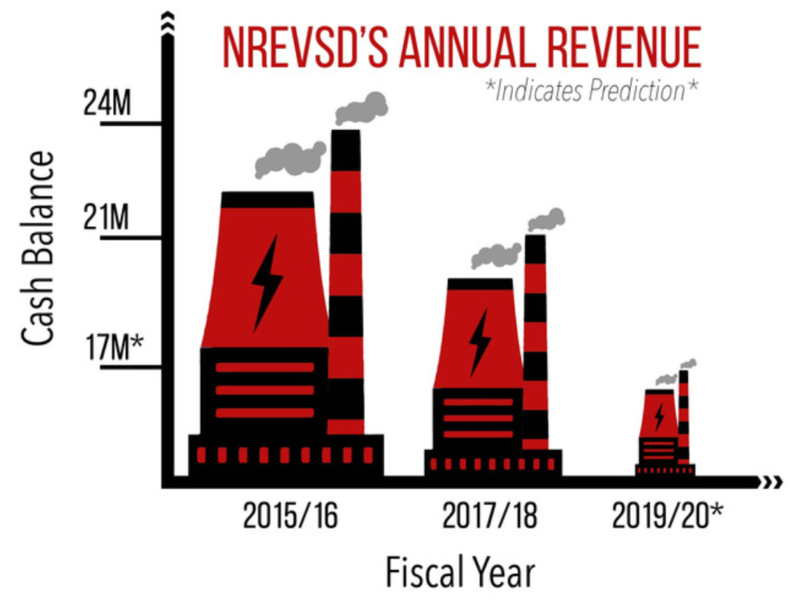 New Richmond Exempted Village School District previously sent out information regarding the loss of significant tax revenues as a result of the closing of the Beckjord Electric Plant and the sale of the Zimmer Electric Plant. Our fiscal year ended June 30, 2018, and with that we can now report the actual decrease in tax revenue. In the 2014/15 fiscal year we received $6.5 million of tax revenue from the Beckjord and Zimmer plants. For 2017/18, the revenue had gone down to $3.6 million, or a decrease of about $3 million of annual revenue. This, above all else, is the biggest financial concern for the district. Further, the decrease in revenue from the plants is expected to be $4 million this year as we continue to experience the effects of the closing of Beckjord and the lower values attributed to the sale of the Zimmer plant. As a result of these revenue reductions, we have been taking action to reduce spending in many areas but not enough to keep up with a $4 million loss of revenue. In most districts, the loss of $4 million in annual revenue would create an immediate emergency which would result in drastic cuts to educational programming. We are fortunate in that over the course of many years the District accumulated a cash balance that reached $24 million at the end of 2015/16. Over the course of the past two years we’ve seen the balance decreasing and we ended up at June 30, 2018 with a cash balance of $21 million. The Board has been reviewing data related to all aspects of our operations, from staffing levels, programs that have been developed to improve student learning, spending on building improvements and maintenance, utilities, open enrollment and building grade configurations. With such major changes being considered for the district, the Board has been working with the Ohio Facilities Construction Commission in assessing the condition of our buildings, and most recently entered into a contract with Elevar Design Group to assist the District in developing and reviewing options that would provide a sustainable facilities model while also providing for the educational needs of our students. This work will be going on throughout the 2018/19 school year with the expectation that we will then be able to make decisions in the Spring of 2019. Elevar’s services will include working with the staff and community members as they explore our options. We encourage everyone to become involved as this work is likely to have a significant impact on the District for many years into the future. The next meetings are on October 30 and November 14. Both meetings are at New Richmond Middle School at 7:00 p.m.
We will issue additional updates over the course of the next year so that the process used is transparent and the community remains informed. For any additional information regarding Elevar’s services, please contact Superintendent Adam Bird at bird_a@nrschools.org. For further financial information, please contact Treasurer Mike Mowery at mowery_m@nrschools.org.